Minister for the Diaspora and International Development, Ciaran Cannon has paid tribute to Galway-native broadcaster Michael Lyster as he retires from RTÉ. Deputy Cannon said that Lyster, from Barnaderg in the county, has been a great ambassador for Irish sport. Minister Cannon said; “I wish to add my own good wishes to the well deserved and growing mountain of tributes being paid to Michael Lyster as he retires from RTÉ. “Having spent much of his younger days in Barnaderg and having learned the journalism trade with The Tuam Herald, it does not surprise me in the least that he has very fond recollections of that time and he is a man with a deep knowledge of East Galway and its sporting traditions. 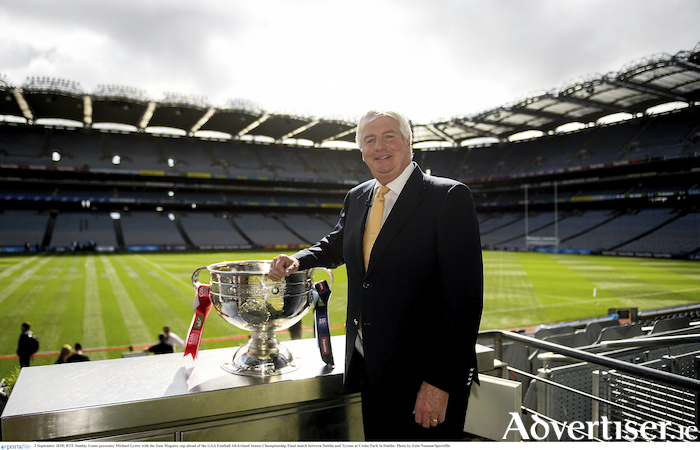 “A great ambassador for Irish sport, Michael Lyster`s affable and down to earth personality has provided an immediate connect with viewers of The Sunday Game over the nearly 35 years that he has been its presenter. “Despite a considerable health setback a few years ago, he has shown the stamina that is clearly a strong component of his character, and has also helped raise awareness of the issue of heart failure and the need for men to watch out for the symptoms and to mind their health.